25mm mod with a new three way adjustable constant contact button makes for an affordable competition ready device. The newest addition to the Immortal Modz family. One of the most COMPACT most VERSATILE mods to hit the market. Very similar design as the Grip Mod, only with a little more style! The Vital RDA is a special collaboration by Armageddon MFG and Immortal Modz to create a refined build deck design of the Apocalypse with the signature teardrop airflow design for a phenomenal rebuildable system. 25mm solid brass mod with a new three way adjustable constant contact button makes for an affordable competition ready device. 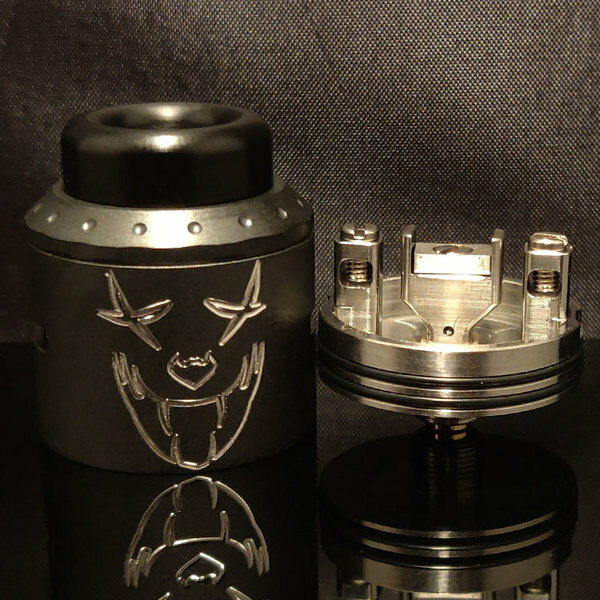 The updated version of The Elite V3 RDA by Immortal Modz.